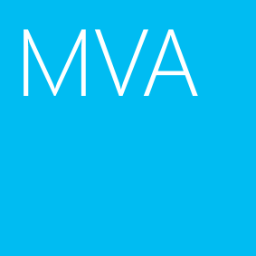 Installing product C:\Ex2007\exchangeserver.msi failed. Fatal error during installation. Error code is 1603. Last error reported by the MSI package is "The file 'ul_ATL80.dll.97F81AF1_0E47_DC99_FF1F_C8B3B9A1118E' cannot be installed because the file cannot be found in cabinet file 'ATLplcy.cab'.This could indicate a network error, an error reading from the CD-ROM, or a problem with this package.'. 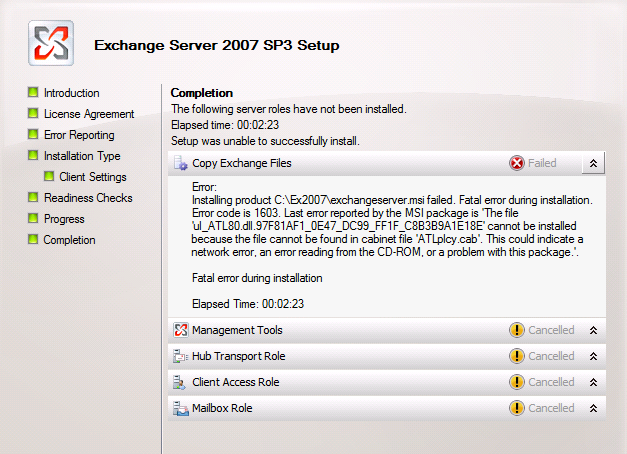 I copied the Exchange 2007 SP3 Update Rollup 8 into the Exchange installation update folder. 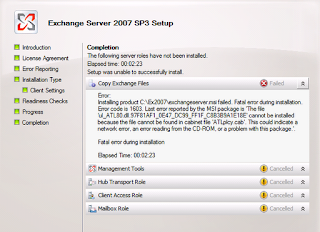 Move out the Exchange 2007 SP3 Update Rollup 8 from the Exchange installation update folder. Run the Exchange 2007 setup again.